Examining the memoirs and autobiographies of British soldiers during the Romantic period, Neil Ramsey explores the effect of these as cultural forms mediating warfare to the reading public during and immediately after the French Revolutionary and Napoleonic wars. Forming a distinct and commercially successful genre that in turn inspired the military and nautical novels that flourished in the 1830s, military memoirs profoundly shaped nineteenth-century British culture's understanding of war as Romantic adventure, establishing images of the nation's middle-class soldier heroes that would be of enduring significance through the nineteenth and twentieth centuries. 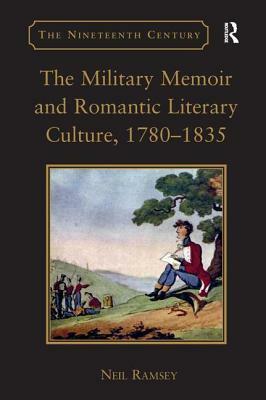 As Ramsey shows, the military memoir achieved widespread acclaim and commercial success among the reading public of the late Romantic era. Ramsey assesses their influence in relation to Romantic culture's wider understanding of war writing, autobiography, and authorship and to the shifting relationships between the individual, the soldier, and the nation. The memoirs, Ramsey argues, participated in a sentimental response to the period's wars by transforming earlier, impersonal traditions of military memoirs into stories of the soldier's personal suffering. While the focus on suffering established in part a lasting strand of anti-war writing in memoirs by private soldiers, such stories also helped to foster a sympathetic bond between the soldier and the civilian that played an important role in developing ideas of a national war and functioned as a central component in a national commemoration of war. Neil Ramsey is an Australian Research Council Postdoctoral Fellow in the School of Humanities and Social Sciences at the University of New South Wales, Australia.